In a move clearly intended to wedge another obstacle in the path of rivals Snapchat as their eagerly anticipated IPO looms large, Facebook has been conducting trials of a “new” feature that’s anything but: Facebook Stories, a re-imagining of Instagram Stories – which was itself a reboot (I’m trying not to say “clone”) of Snapchat Stories. Like its predecessors on Snapchat and Instagram, Facebook Stories presents itself as an opportunity for users to share their experiences of the day via a collage of images and short videos which disappear after 24 hours. On Facebook, the feature manifests as a set of little circles above your main news feed, each containing an image from the Facebook Stories of a friend or organisation you follow. The slide-show of images and video can serve as a chronicle of the events of the current day (they can be viewed at any stage during a 24-hour period), or serve as a running commentary or narrative. Sounds great, but “Where’s the beef?” Or the flat-pack furniture? Or whatever commodity you might be selling. The story isn’t so great – as yet. While Instagram and Snapchat Stories have thrown their screens open to advertisers (with Instagram recently testing full-screen video promotions from around 30 brands, including the likes of Netflix, Nike, and Airbnb) Facebook has yet to make this concession. Granted, it’s still early days. Facebook Stories is in its initial trial phase, with the service available on the iOS and Android mobile platforms, and confined to testing within the Republic of Ireland. It’s been promised that the new feature will be extended to more countries, so we’ve that to look forward to in the coming months. 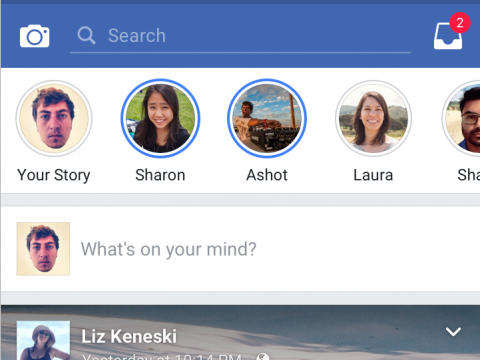 There’s currently no desktop version of Facebook Stories, so we’ll have to wait and see whether the social media giant will take this market segment into account as well. Facebook Stories is available to anyone in the testing zone with an active Facebook account – a condition likely to apply to all users (at least initially) when the service goes global. As a counterpoint to the sleek professionalism of the imagery, biting commentary, and finger-on-the-pulse relevance of the content in your main feed, Facebook Stories gives you the opportunity to “make it real” for your followers, by telling the news behind the news. It’s an opportunity to go behind the scenes and describe the inner workings of your organisation, celebrate the unsung heroes and heroines who keep the machine running, and to provide insight into what influences and inspires the influencers on your payroll. It’s also a great way to give friends and followers a taste of the atmosphere at live events that you or your staff are currently attending. As well as giving a more personal glimpse of life as you and your people live it, Facebook Stories also allow you to provide sneak peeks at new products, processes, or events. By adjusting your privacy settings in the usual manner, you can restrict these “exclusives” to your friends and followers, or throw them out more widely to the public. The Stories format associated with Snapchat and Instagram imposes a time limit of ten seconds on each video clip – and it seems likely that Facebook will retain that restriction, as it’s one that users will have become familiar with. This means that if you’ve got a longer clip than that, you’ll have to string several together, to tell your complete story. So you’re arousing the viewer’s curiosity, retaining their interest – and exposing them to the various aspects of your online presence. The objective is to make it impossible for viewers to ignore you (without necessarily getting “in their face”) – and to make it just as hard for them to forget you, as well. 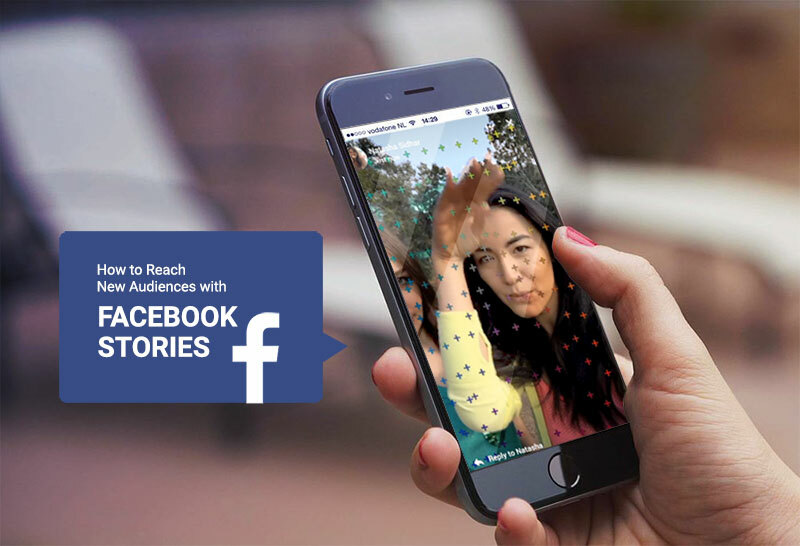 Becoming an early adopter of the Facebook Stories platform – and thereby encouraging followers to pay greater attention to the content you post on your main news feed and in other outlets – is one way to achieve this. Getting a lot of people involved in your message is another way of staying on top of their minds. This might be accomplished through endorsements for popular causes or charities, crowdsourcing techniques (polling for ideas and imagery), or collaborative activities in research and new product development. While there’s no option to directly like or comment upon a story – and videos and photographs won’t appear in your timeline or main News Feed unless you specify this – there are opportunities to invite responses from the viewer. There’s a new feature called Direct (distinct from the Facebook Messenger app), in which users can direct message and respond to specific friends about photos or videos that they’ve seen. So it’s a good idea to encourage this kind of dialogue through invitations embedded in your images and clips. 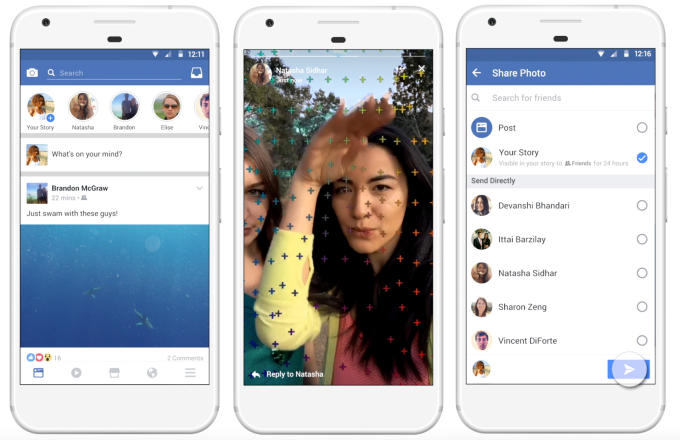 The Facebook Stories feature (like Snapchat and Instagram before it) includes selfie filters (Facebook calls them “frames”) which you can overlay on the pictures or clips that you shoot with your mobile camera. They’re interactive to an extent, and may be used to increase the engagement of the viewer. Hashtags and geotags (location identifiers) may be added to your Stories to give supplementary information, localise content, or simply to cash in on those trending keywords. There are emoji available, as well. You have been warned. Need help planning your Facebook Stories campaign for when the feature finally arrives? Fortune favours the prepared, and getting in there first will give you significant advantage over your competitors. Or perhaps you’re looking to get ahead with Snapchat marketing or Instagram Stories – whatever your social media marketing needs, My Social Agency has the solution. Get in touch today to find out more.